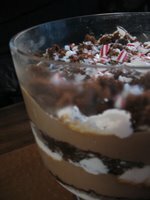 How could I have failed to mention making this gorgeous trifle? Such is the life of she who works full-time and is a student part-time: not entirely enough time to cook food and write about it! This delectable dessert was produced for a post-Christmas dinner party I hosted for two of the families I work for — the child care provider's equivalent of having the boss and his wife over for dinner. Thank you, Martha Stewart, for the recipe for this triple chocolate-peppermint trifle, which included layers of milk chocolate pudding, white chocolate mousse, and chocolate cake soaked in Godiva liqueur. There was even enough leftover to share with the Anthopologist when he came back from the holidays — and you can bet we enjoyed every last crumb. I bought the trifle bowl specifically for the purpose of making this very trifle. Even if I never use it again (though I can't imagine not making this again, despite it being rather labor-intensive, or another type of trifle, for that matter), it's completely paid for itself already by just looking really cool upon presentation. Some other kitchen gadgets came in very handy in making the trifle. 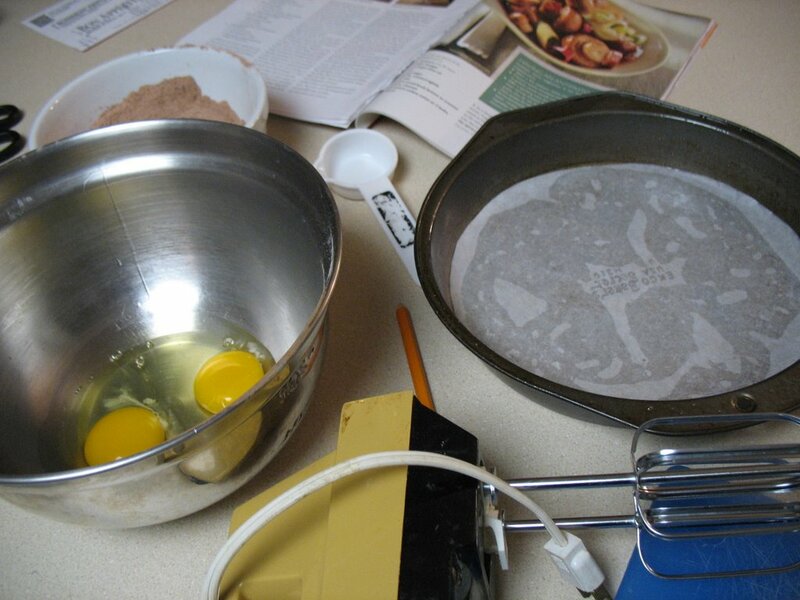 I have an ancient hand mixer that I use for most baking projects. I don't even know how old it really is, since I found it in the back of the cupboard when moving out of my freshman-year apartment. When no one claimed it, I took it for myself. Honestly, it's not the best mixer one could have. It beats eggs and whips cream just fine, but it struggles with creaming butter. I've been eyeing a KitchenAid version, but it's not a priority at the moment. Another new gadget, which I bought for myself with some Christmas money, was a digital kitchen scale, which came in very handy when the recipe called for six ounces of chocolate and the label on the chunk I had bought said, "0.64 lbs." 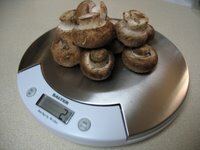 It's also great for obtaining precise amounts when cutting a recipe in half that calls for 10 to 12 ounces of musrooms. I sort of bought it on a whim (I really wanted a KitchenAid stand mixer but realized that I still can't afford one), but I've used it numerous times and I actually kind of get a kick out of using it. 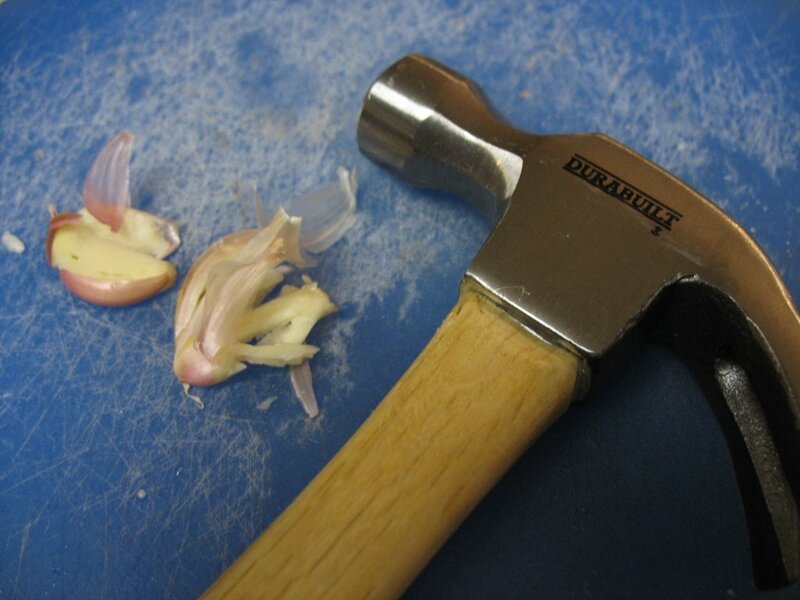 Other useful kitchen tools aren't as fancy. After needing to crush candy canes for a couple of different recipes and not being very efficient at doing so, I finally pulled the small hammer out of the hardware drawer and gave those candies some good, hard smashing before sprinkling them over the trifle. A hammer is also useful for pounding the peels off of garlic, but typically, I'll use a knife unless I'm keeping the cloves whole. All this work for one dessert! But let me tell you, it was well worth it. They're so pretty. I wish I could think of something else to do with it besides put trifle in it, though! I hate having things are are good for one thing only.